It’s time to wrap up the year 2010 and the first category is about the media that is available in hard copy. The paper is not searchable and takes up some room in the shelf but I prefer these mags in old-fashioned way. Needless to say that like other traditional media publications, they have websites too. 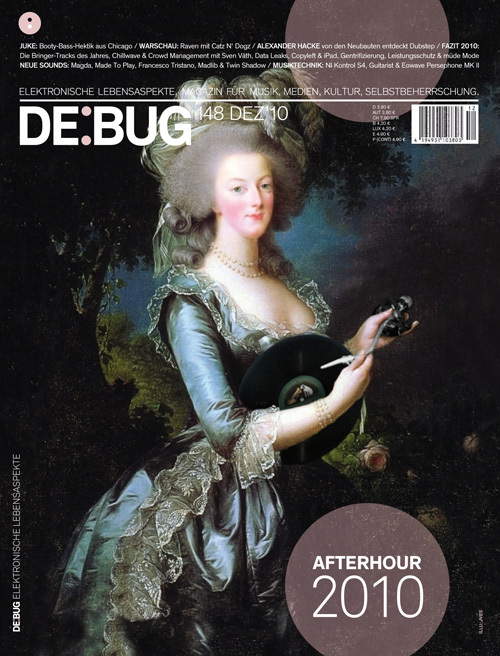 Published in vibrant Berlin, De:Bug covers elektronische Lebensaspekte that do not only encompass modern music but also gadgets, technology, media and society. The party guide tells the best on offer in Berlin and beyond. Elaborates various aspects of the electronic world and comes with a number of professional reviews – where you see that every second critic by Bleed starts with Tja. Open-minded in exploring different genres and sub-genres to educate readers. De:Bug would make some people learn German. Something for expanding your musical horizon. Anything about Tuvan throat singers, Portuguese experimental noise or contemporary minimal classics, while also having some words about electronica and dance tracks. “Wire Tapper” compilations come free with the magazine a few times per year and summarize what has been under Wire’s magnifying glass. Exceptional writers with deep intellectual approach to the music and world. From Frankfurt am Main and has been in business for 20 years, a surviving contemporary of the legendary Frontpage mag. The layout and format are undergoing constant change but the contents focuses on music we find at DJ charts of Sven Väth, Richie Hawtin, DJ T and many others. A CD compilation comes as bonus with every kiosk issue. 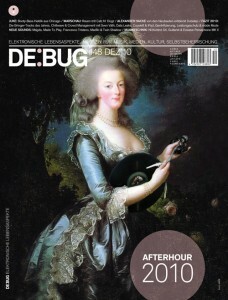 In recent years has published many interesting feature stories about the music history, e.g. Tresor, Patrick Cowley, Eastern Germany’s electronica, italo disco and many more. Many reviews.